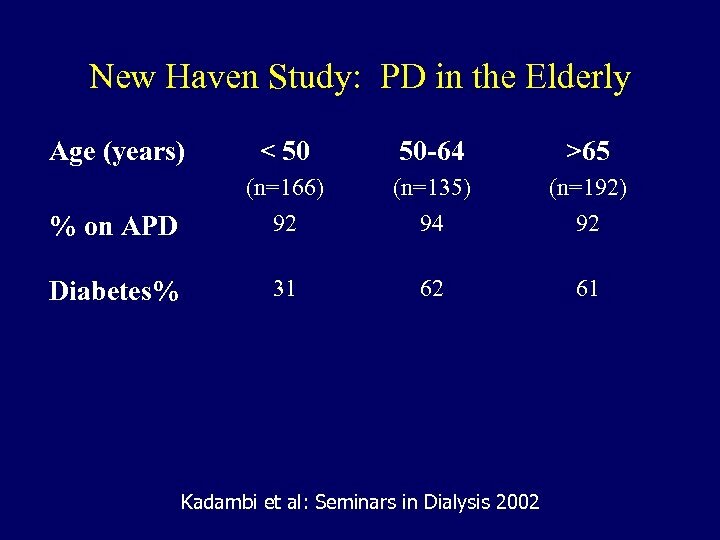 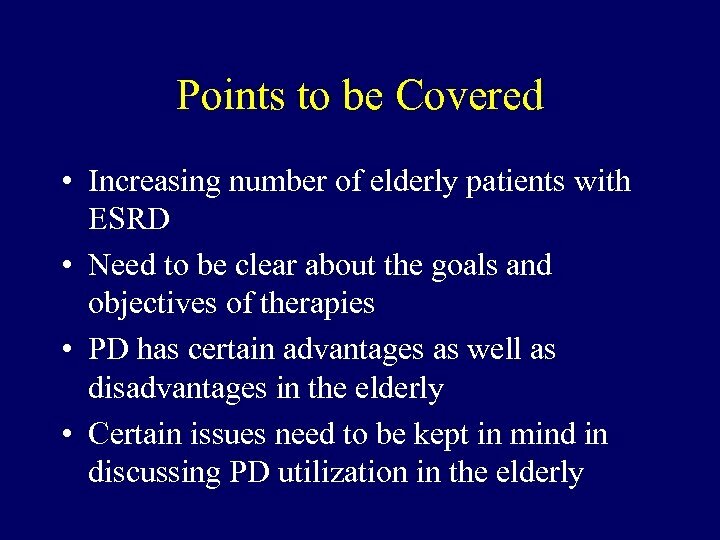 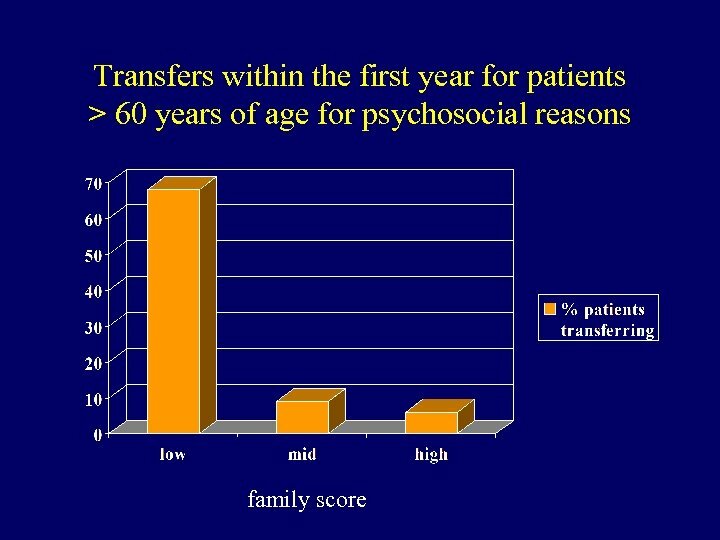 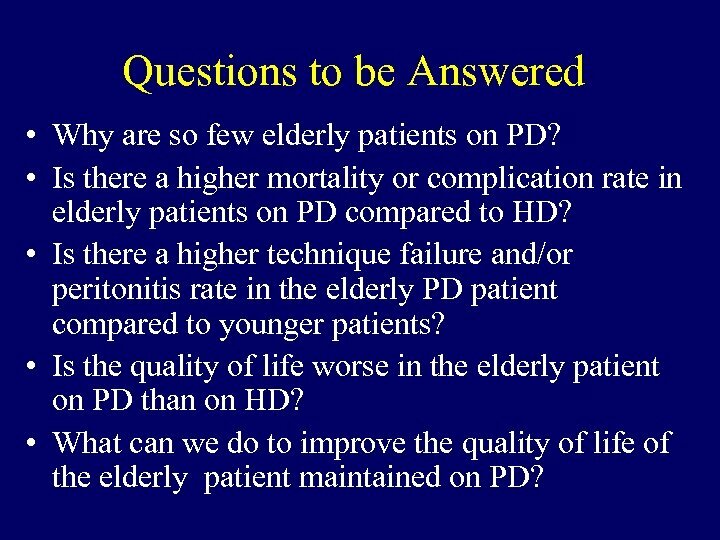 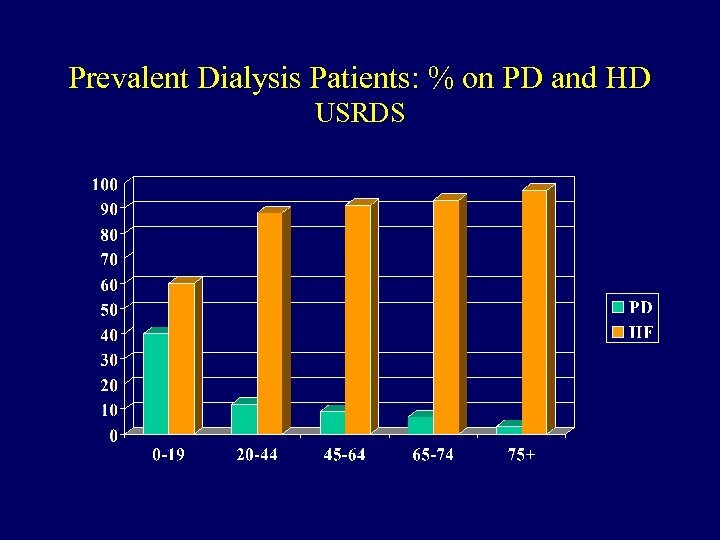 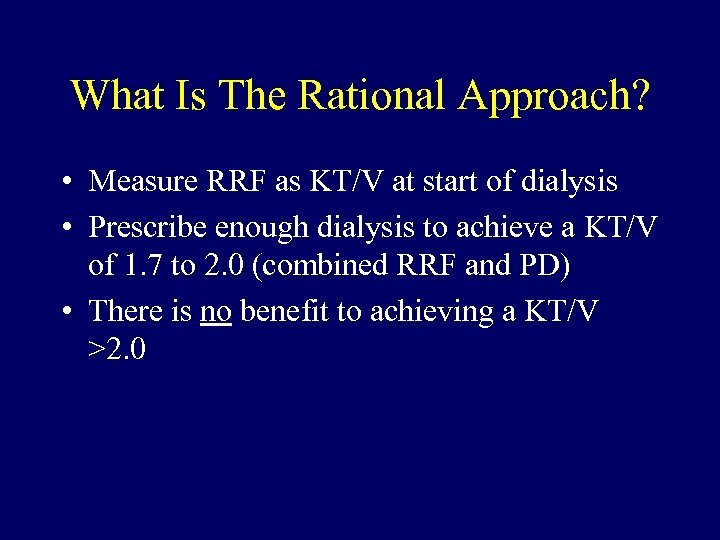 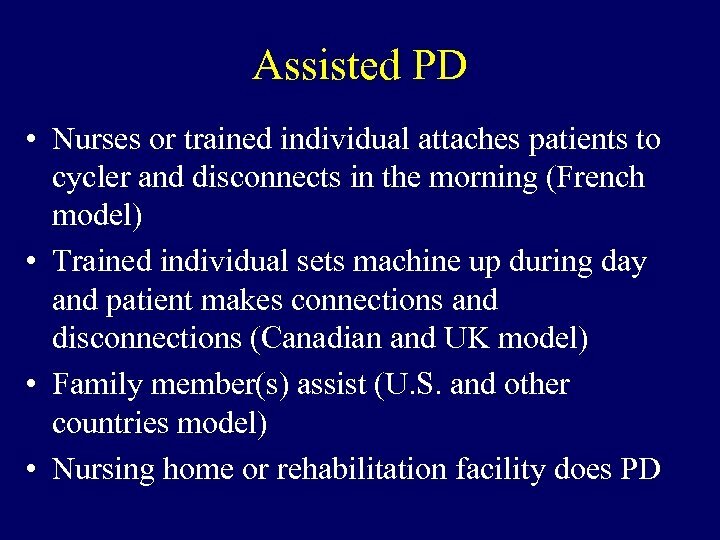 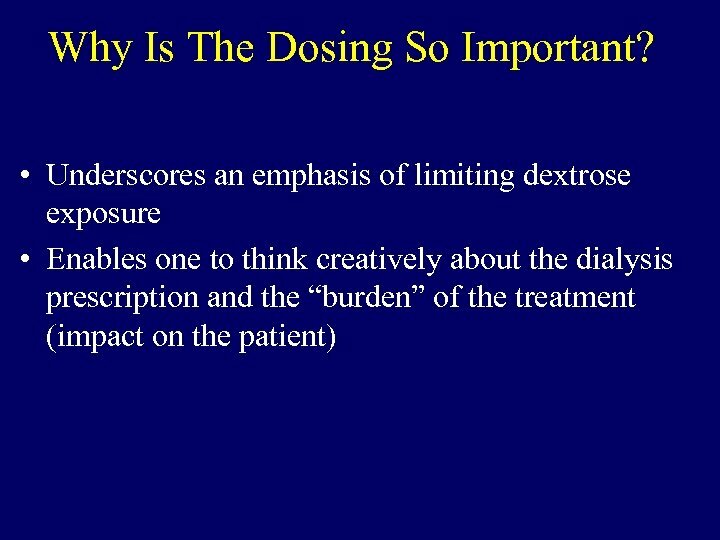 Questions to be Answered • Why are so few elderly patients on PD? 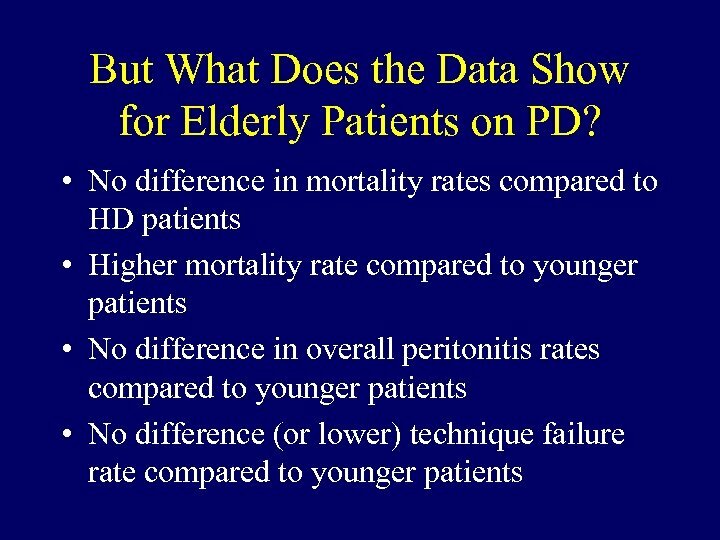 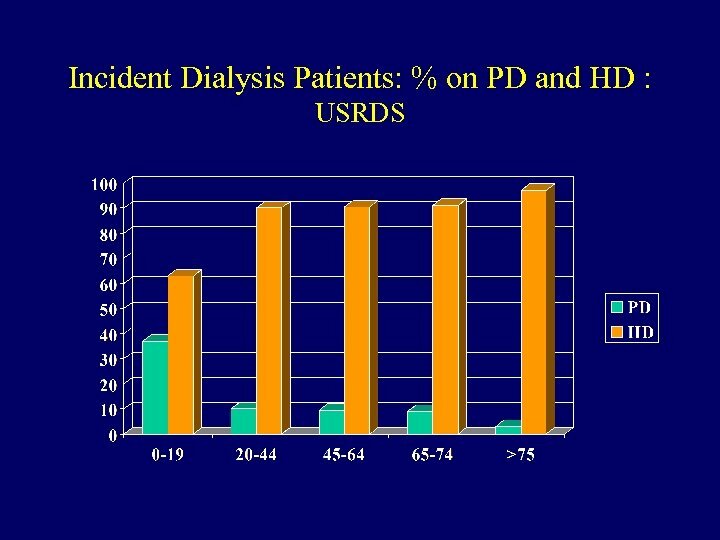 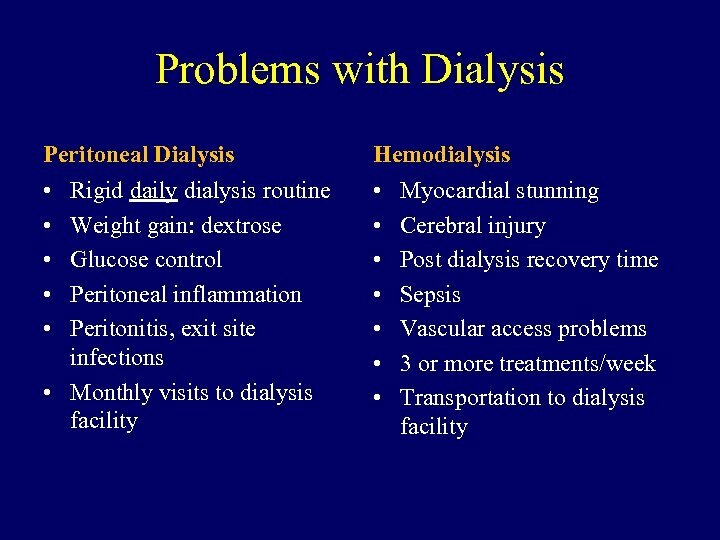 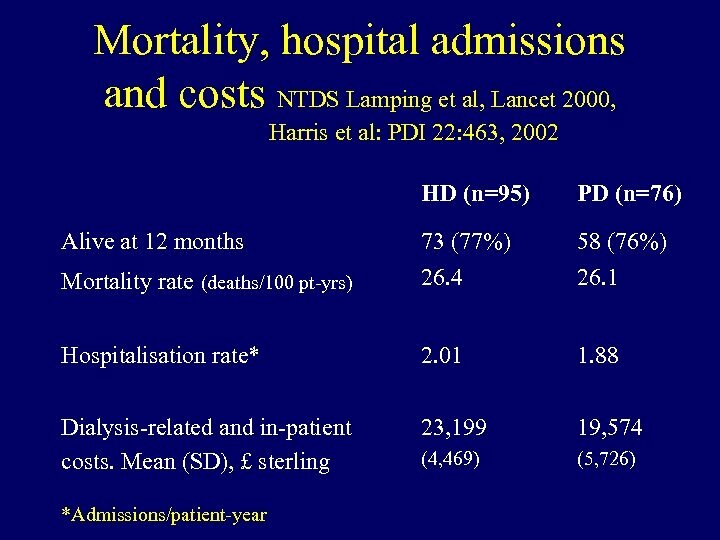 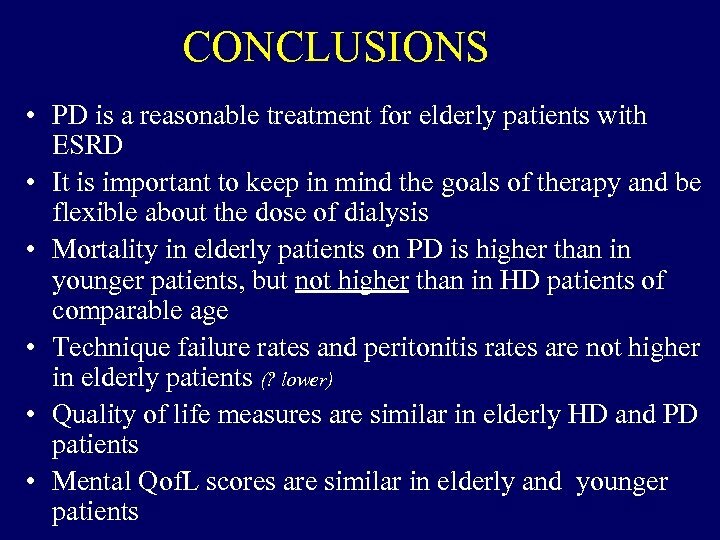 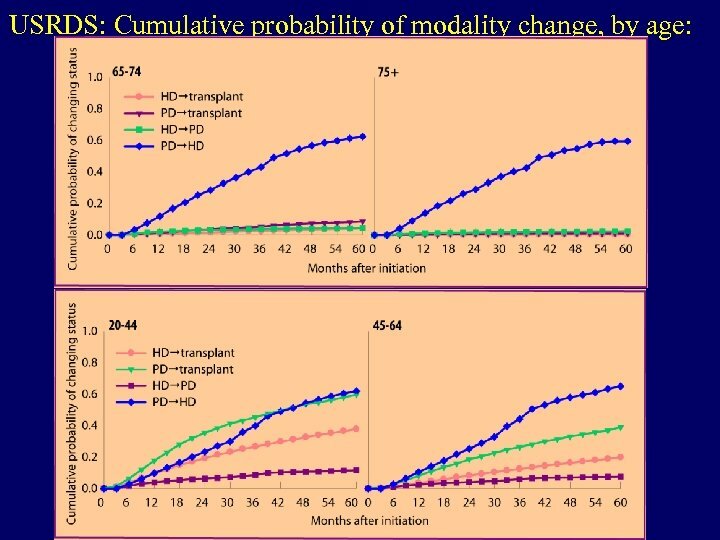 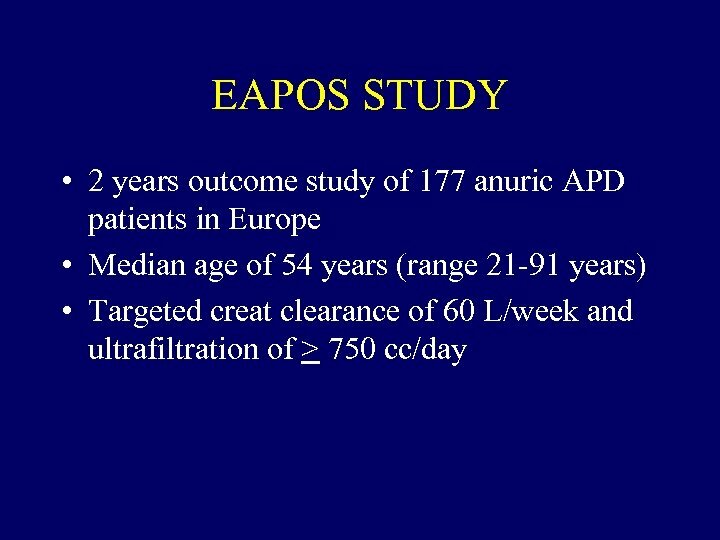 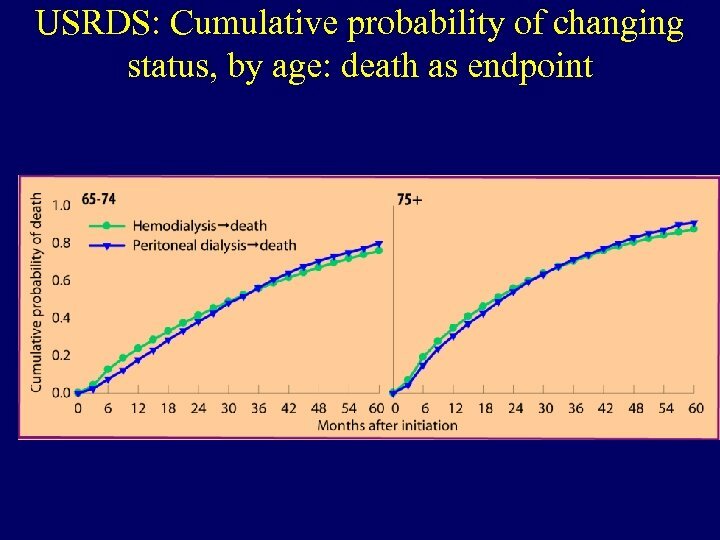 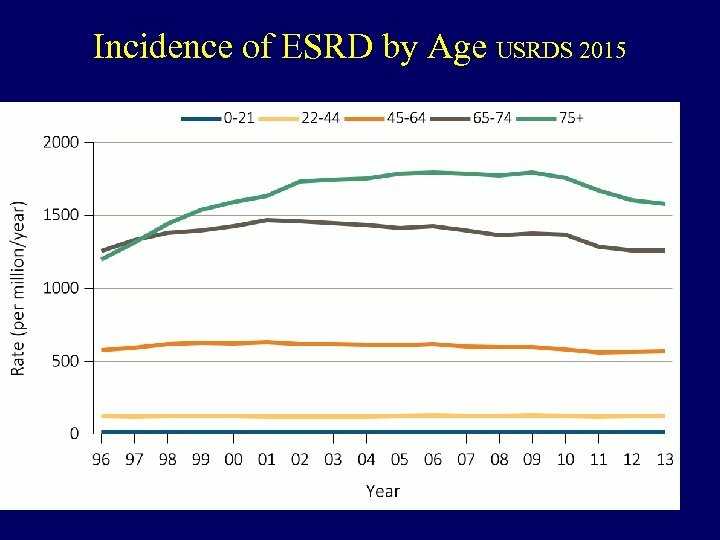 • Is there a higher mortality or complication rate in elderly patients on PD compared to HD? 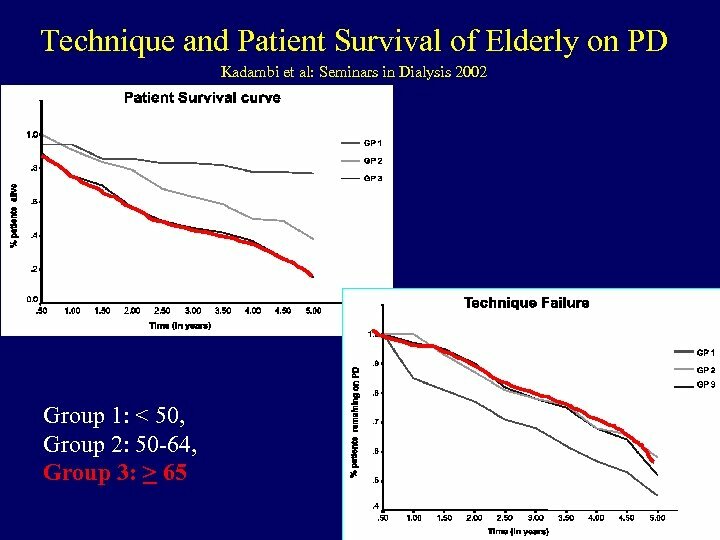 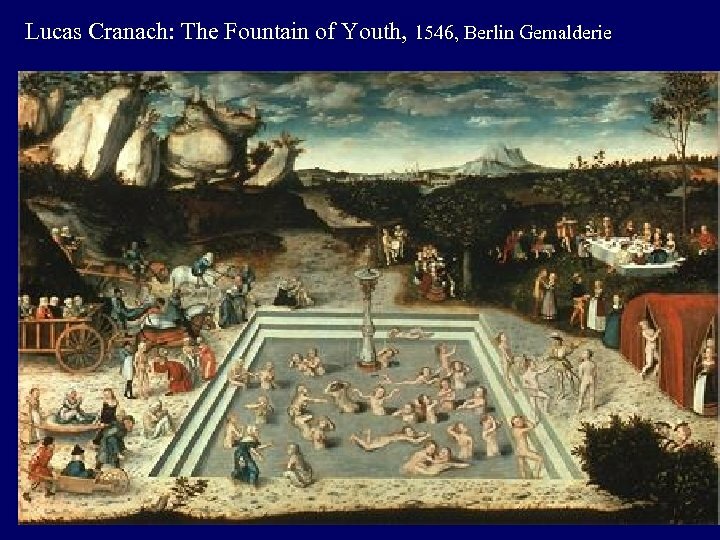 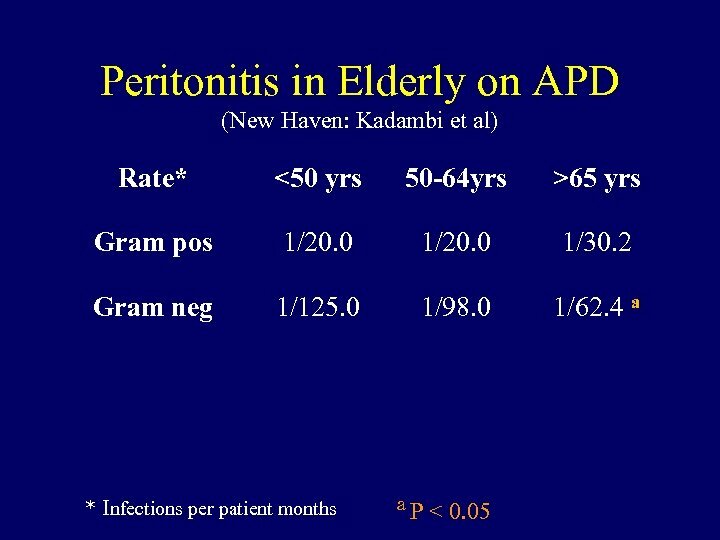 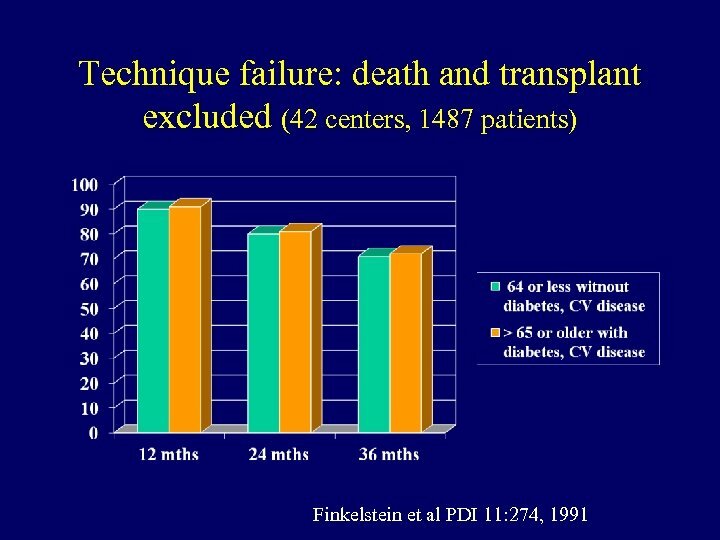 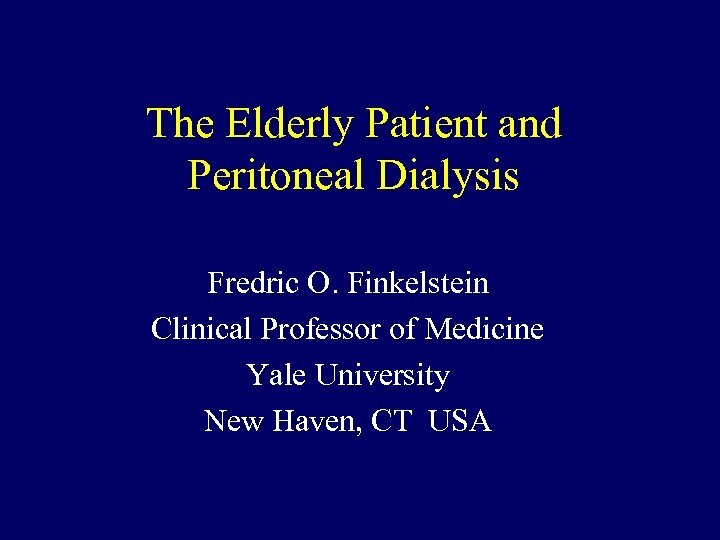 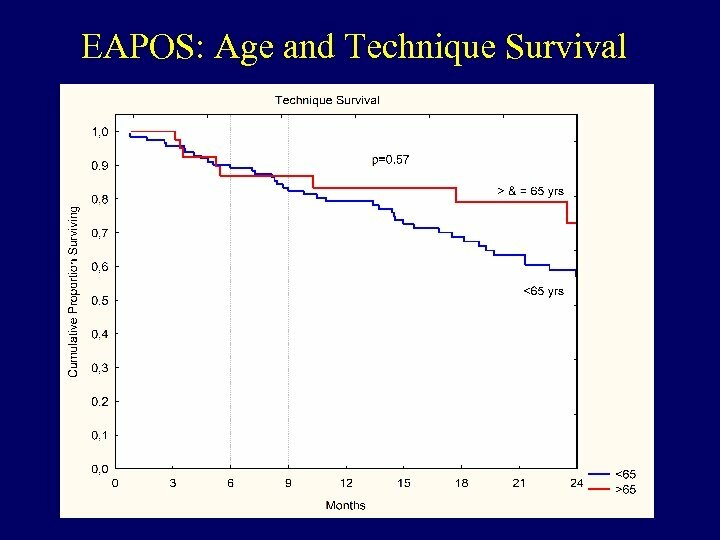 • Is there a higher technique failure and/or peritonitis rate in the elderly PD patient compared to younger patients? 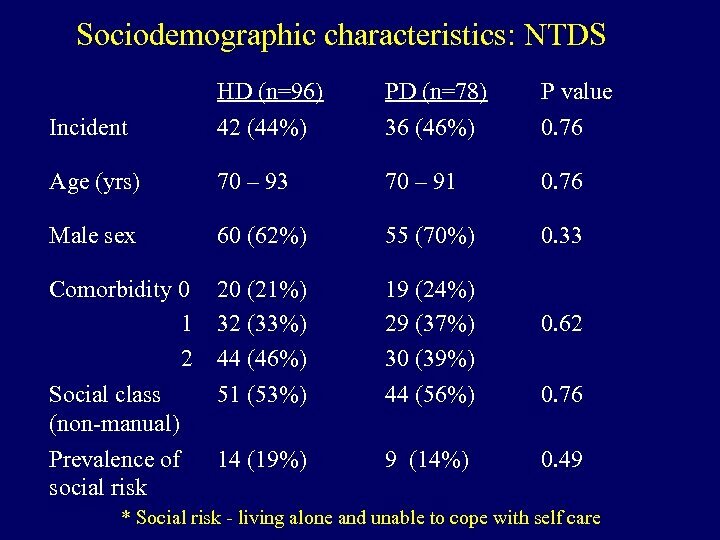 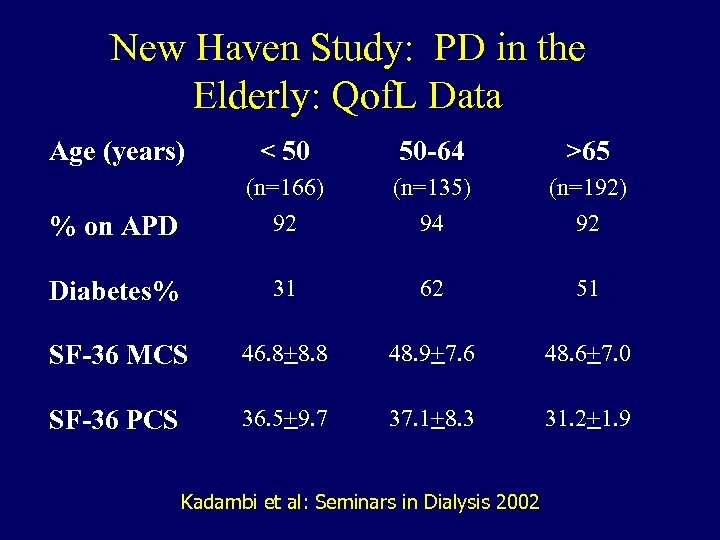 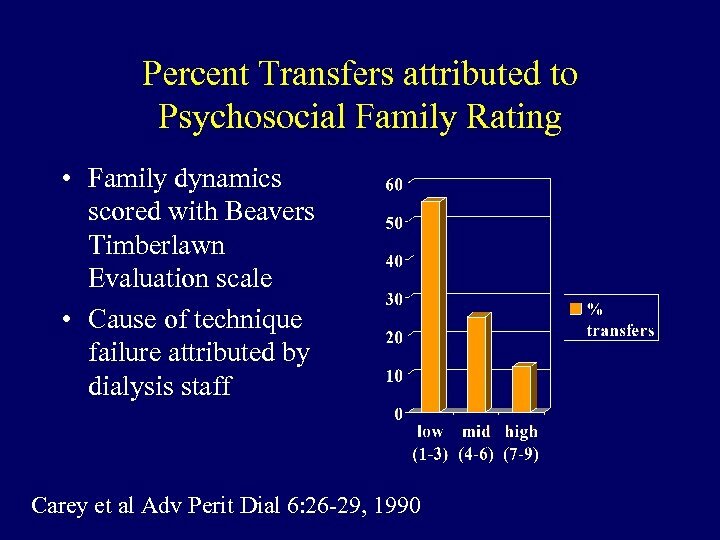 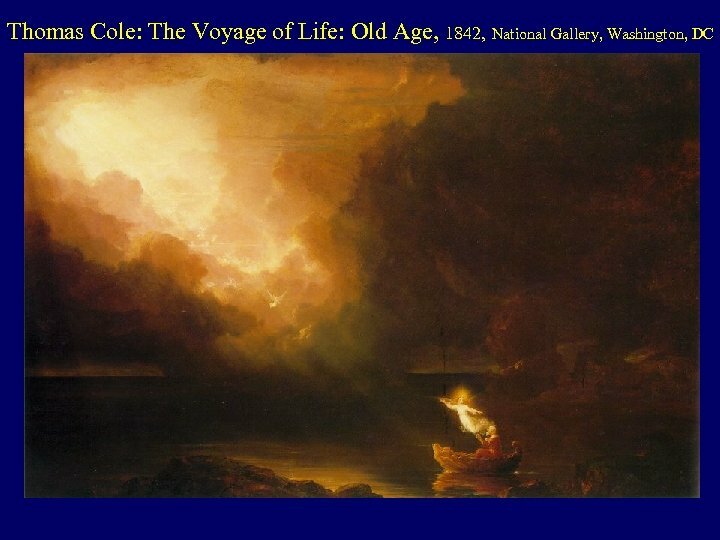 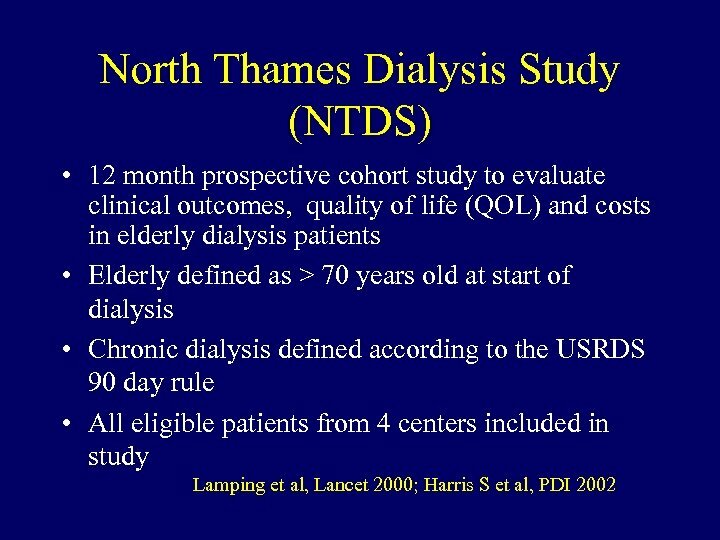 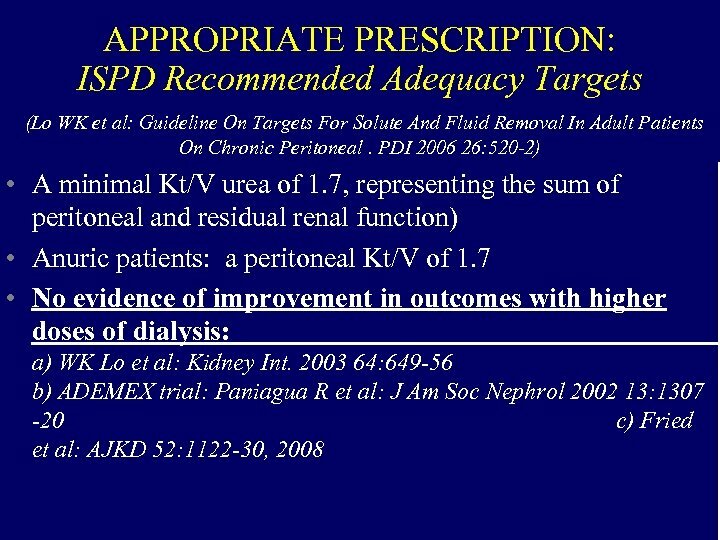 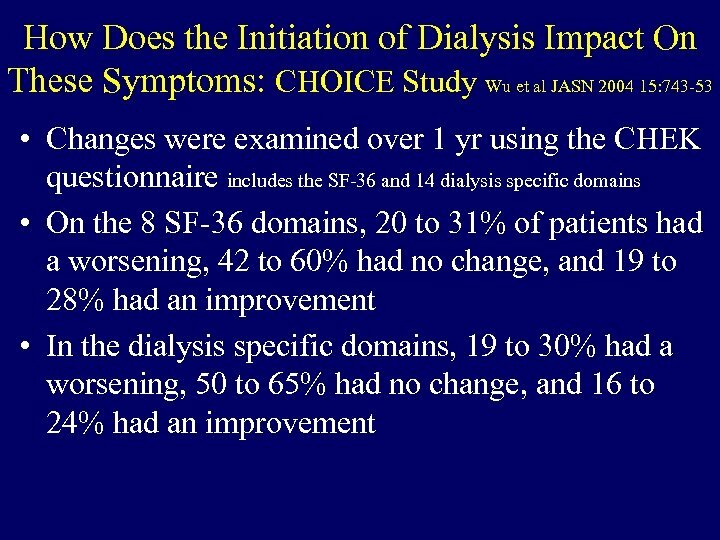 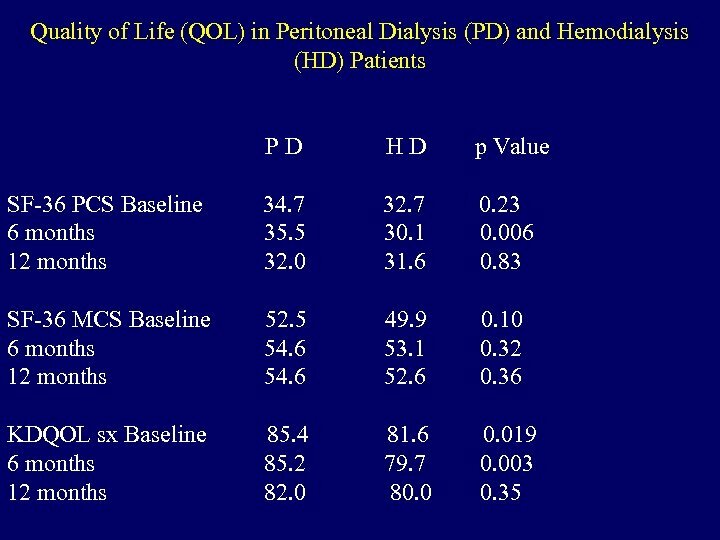 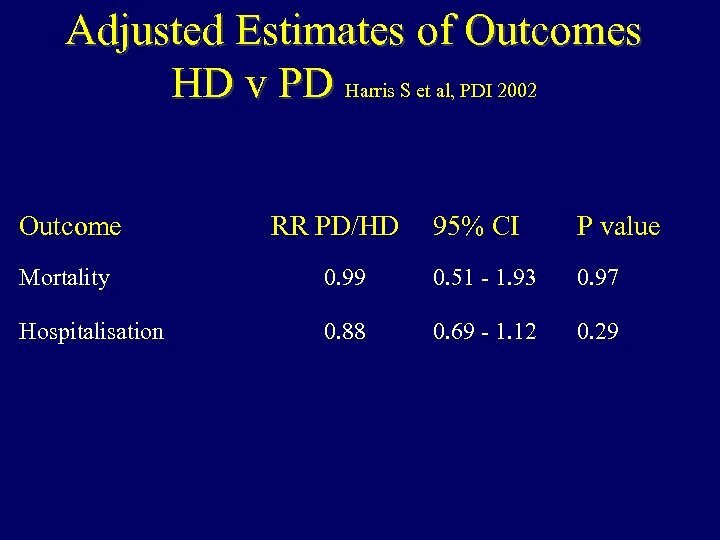 • Is the quality of life worse in the elderly patient on PD than on HD? 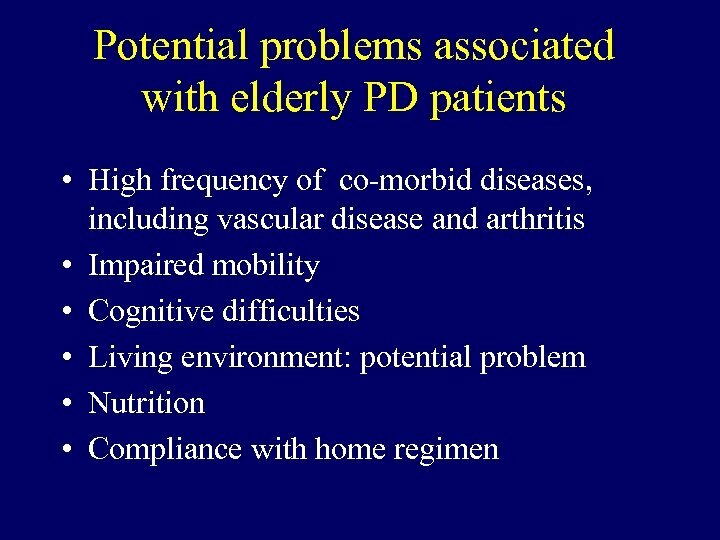 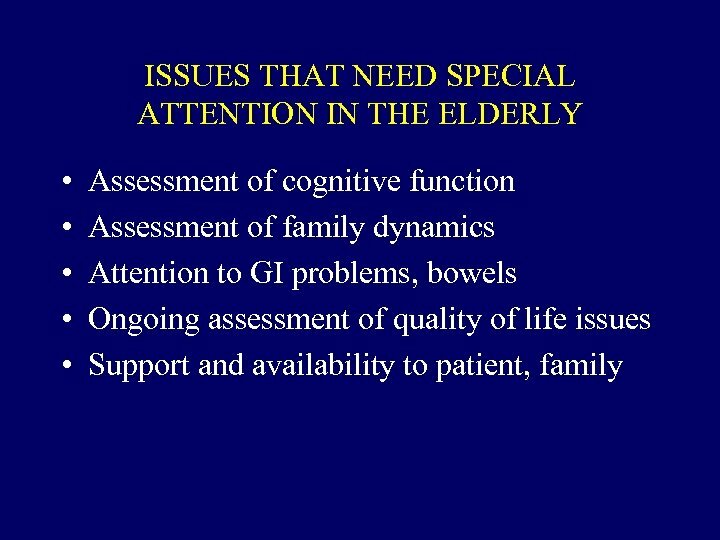 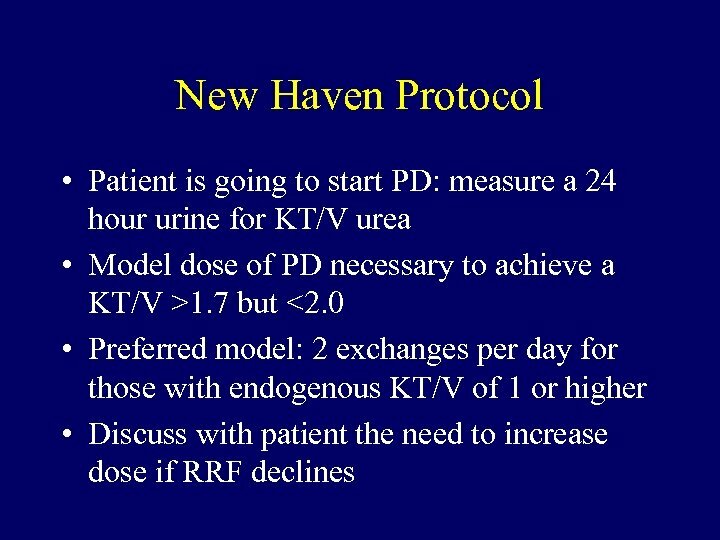 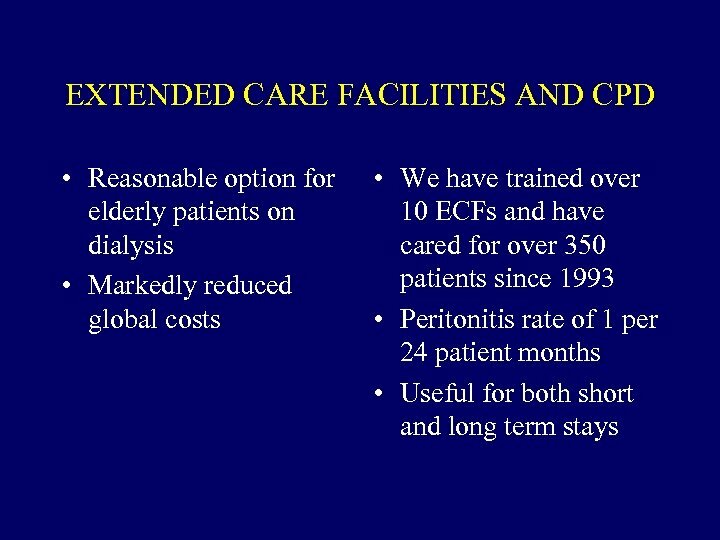 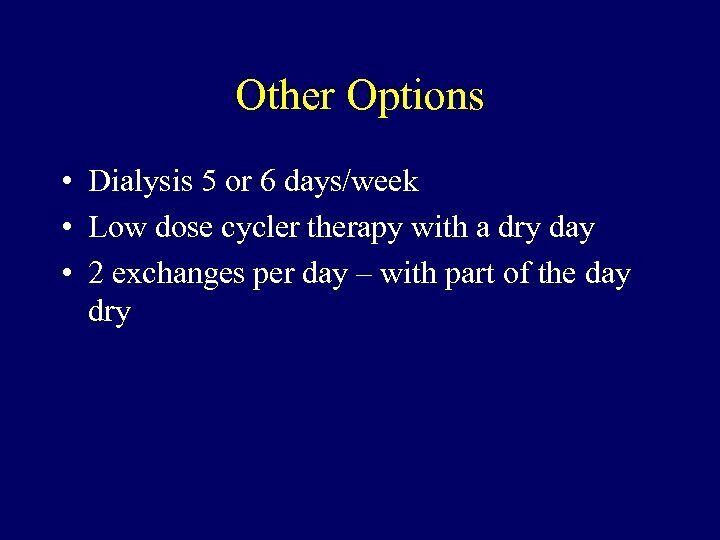 • What can we do to improve the quality of life of the elderly patient maintained on PD? 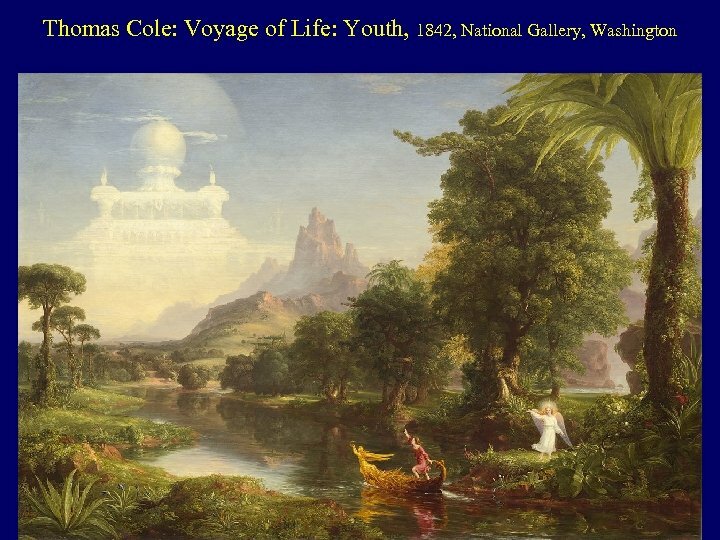 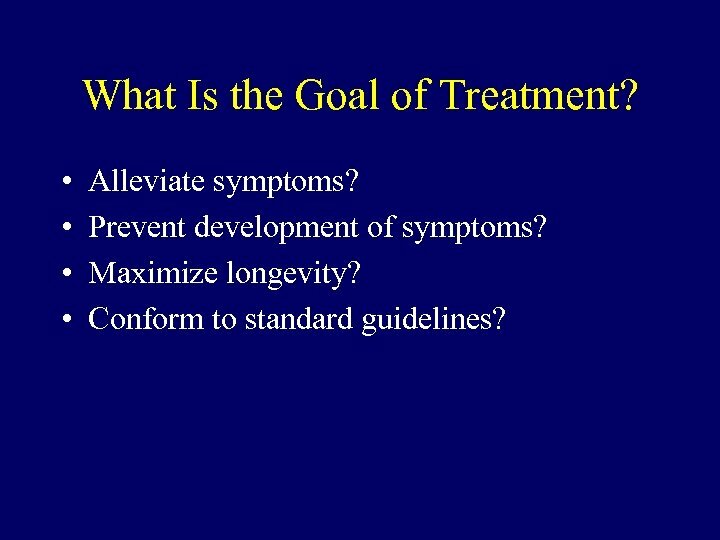 What Is the Goal of Treatment? 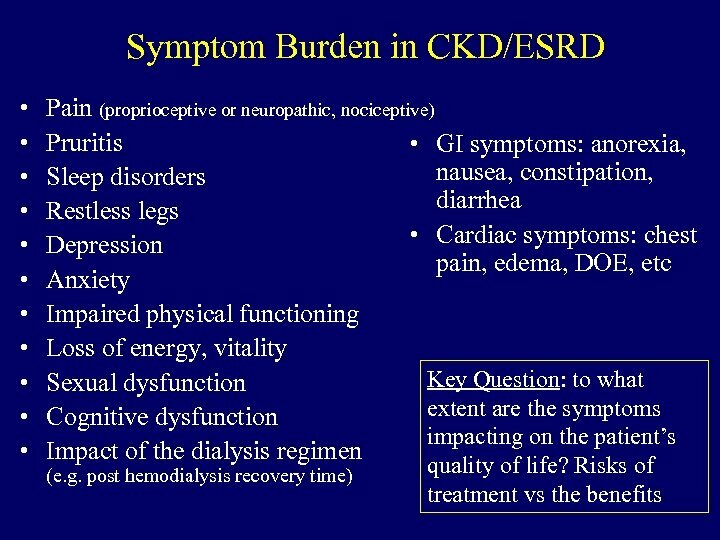 • • Alleviate symptoms? 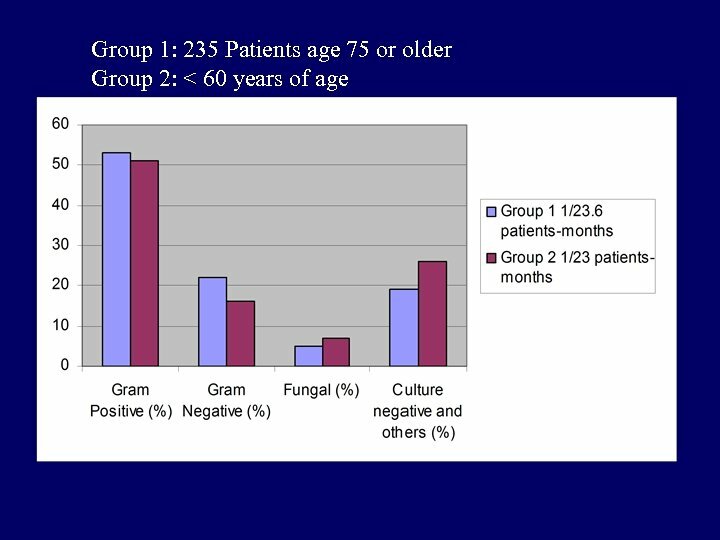 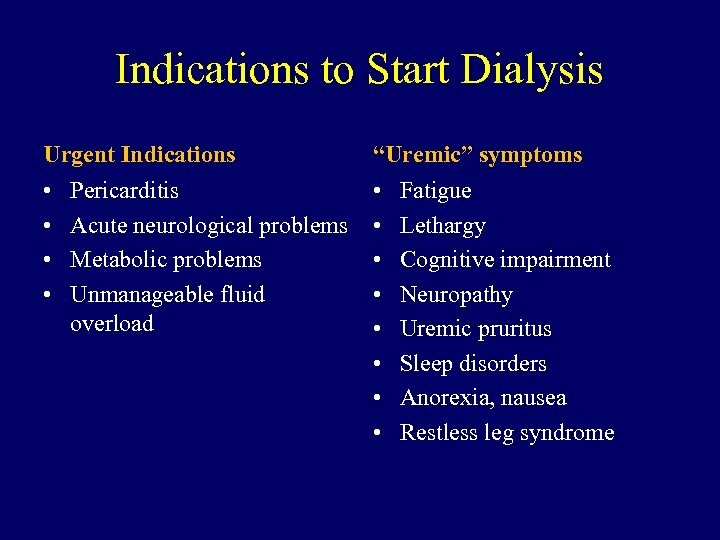 Prevent development of symptoms? 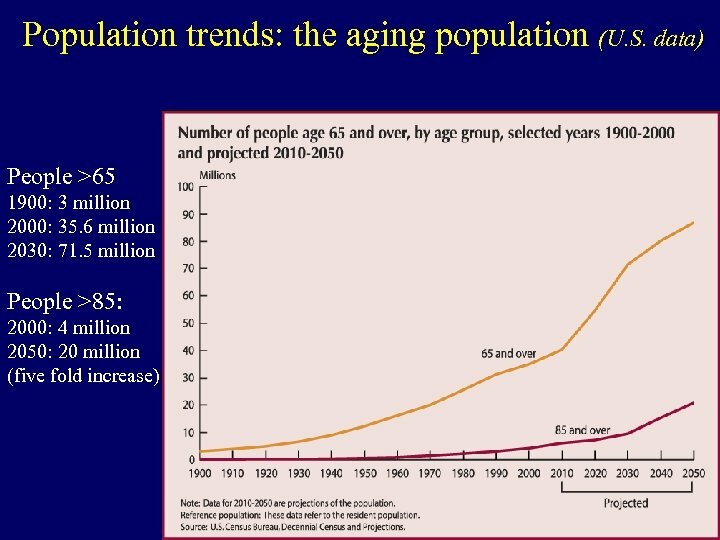 Maximize longevity? 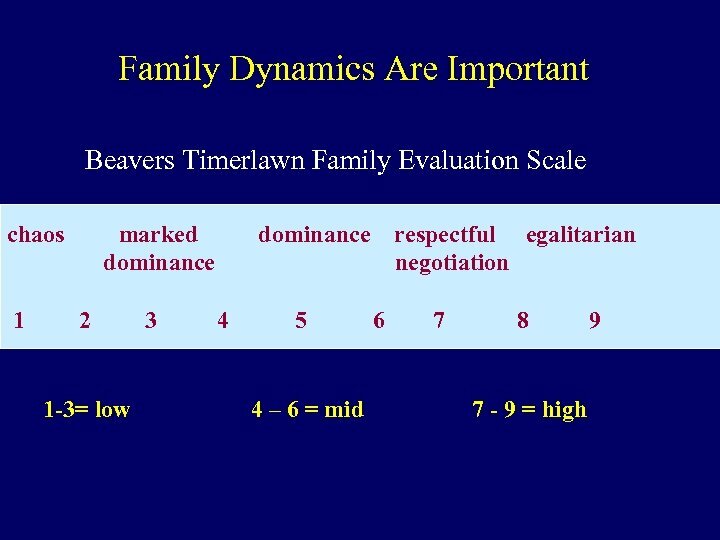 Conform to standard guidelines?